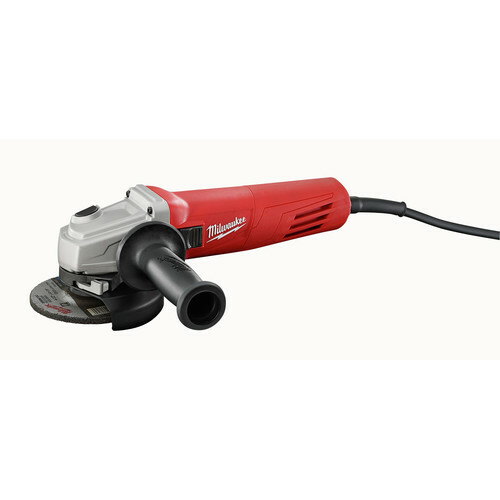 This is a great little angle grinder. 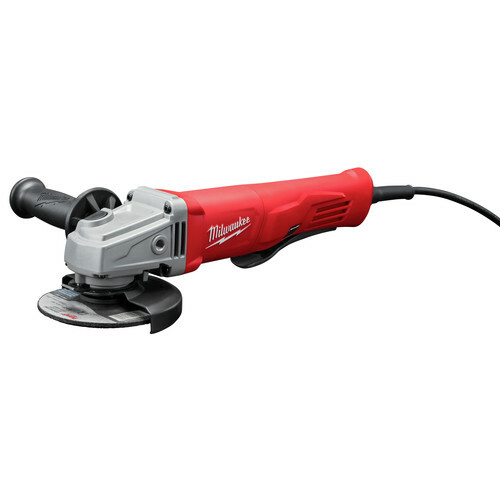 Th he first thing I noticed was how small this angle grinder is. It fits in my 5' wife's hands easily, however it also fits well in somebody with largess hands as well. I Was seriously surprised by how much power it has. Make sure that you have a good trip on this thing when you use it. The only downside I've noticed is that it only has 2 positions for the grip instead of 3. Overall a great buy and well worth the money. 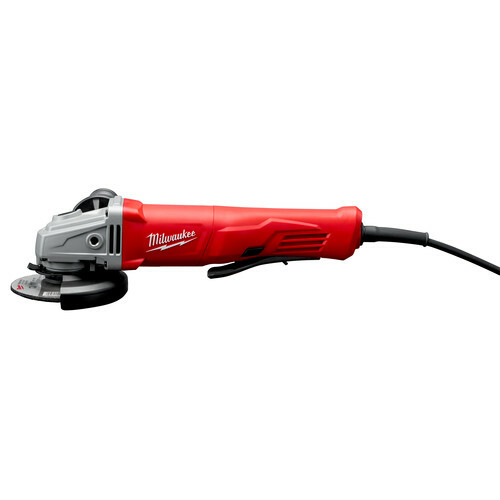 This was my first Milwaukee angle grinder. I have gone through several over the years and none were powerful enough to suit my needs. My first one actually caught on fire while I was using it. What a difference with the Milwaukee. The 11 A motor powers through just about anything. I recently spent 4 hours cutting off metal posts and 5/8" rebar and nothing fazes it. The barrel is long enough that you can use larger wheels if you remove the tool guard (I do not recommend this for novices). And the locking slide switch works much better than the cheap paddle switch models they are pushing at the "big-box" stores. Here are the downsides. Being it was a recon, it had a little paint overspray. I wasn't too keen on that. Also the flange was damaged so that it did not seat properly on the base of the arbor. A little grinding with a deburring bit fixed that. Finally, I would like to see a mid-tool threaded socket for the included screw-in handle so I can operate the grinder more easily at a 90 degree angle. Just a suggestion. Overall, a great purchase!